We already have on the website of the document “Quality Policy and Food Safety”, you can check it from the “About Us” tab. A committee of experts made up of 85 tasters, including members of the full Board of Regulators of the Toro Denomination of Origin, technical directors of the Regulatory Council of other production areas, sommeliers, winemakers, winemakers and journalists has qualified the vintage 2016 of the Appellation of Origin Toro as “excellent”. The Minister of Agriculture and Livestock of the Junta de Castilla y León, Milagros Marcos, has been in charge of announcing the result of the qualification of the vintage 2016 in the framework of the Wine Fair of Toro, during the days 27 and 28 of May a special year in which the D.O. Turns 30 Accompanied in the pronunciation of the result by the president of the D.O. Toro, Felipe Nalda, and other authorities. The president of the Appellation of Origin Toro, has thanked “the work of farmers and winemakers, who are the true architects of our wines,” Nalda explained that the Regulatory Council of Toro is following the line to get greater visibility of Wines in the world, introducing new promotional actions as reverse missions, which are completed with the presence in the most prestigious fairs worldwide, as well as actions aimed at young people. Last May 18, the qualification tasting of the 2016 vintage of the wines of the Cigales Denomination of Origin was held, where a group of national and international tasters, winemakers, tasted the different wines of this denomination, both red and rosé , And white. The result was an EXCELLENT vintage. According to Julio Valle, President of the Regulatory Council, the assessment responds to the “know-how of winegrowers” and farmers in the area and for that reason he was satisfied with the result given by a group of national and international experts who have granted the highest recognition to the grapes 2016. The tasting consisted of a white wine, four pinks and five reds. The tasters have analyzed the organoleptic characteristics in the visual, olfactory and gustatory phases. According to the technical director of the denomination, Águeda del Val, began with a target since, since in 2011 as a result of the change in the regulations of the denomination, it was already allowed to taste a white wine in Cigales. The first pink was “very pale”, which is what the market is demanding. The next three were the Cigales classics, and finally the red ones, two are young people already on the market and the rest, they are cries of 2016, that is, they are starting to grow old. It has been explained by Águeda del Val, technical director of the denomination. The members of the jury have been surprised by the target of the variety verdejo in a denomination in which it is not habitual to try this type of wines. Regarding the rosados, the members of the jury emphasized that they were fresh wines, aromatic, easy to drink and to harmonize with all type of foods. Finally, the reds, which are the great unknowns of Cigales, have dazzled the tasters because of their great quantity of aromas and their capacity of aging. 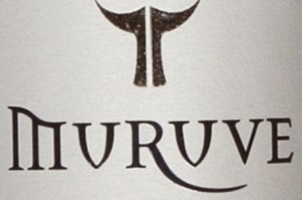 In the last contest of the World Contest of Brussels celebrated in Valladolid (Spain) from the 5 to the 7 of May of 2017, has obtained the Gold Medal award, the wine MURUVE RESERVA 2012. A wine that also obtained 89 points Parker in this year, And Silver Medal in the Bacchus 2017.